Way, way back in 2006 when I was supposed to be finishing my Honours Degree thesis on mynas at the University of Pretoria, I started doodling some pipit sketches. The eventual result was this book – my first foray into the world of publishing. A modest initial print-run of 1000 copies, with money I loaned from my father, sold out rapidly. I printed another 1000 books, and these have also long-since sold out. People sometimes ask me why I don’t reprint this book. Partly, it is because I feel it is a bit outdated, with one of the main changes for example being that both Long-tailed Pipit (described in 1996) and Kimberley Pipit (described in 2002) have now been shown to be invalid species (by yours truly, by the way). Secondly, the pipits are included in my Chamberlain’s LBJs book anyway, and I’ll be the first to admit that the illustrations in this newer book are way better. Because I’m such a nice guy, I’ve placed a whole lot of free downloadable pdfs from the pipits book here…enjoy! I’ve also included some background information on the book, and the story behind it. 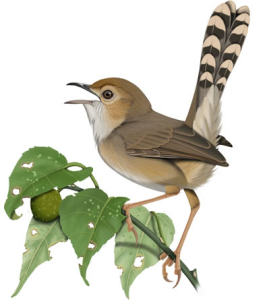 Vocalizations: a sound classification scheme? Is the Kimberley Pipit a valid species? 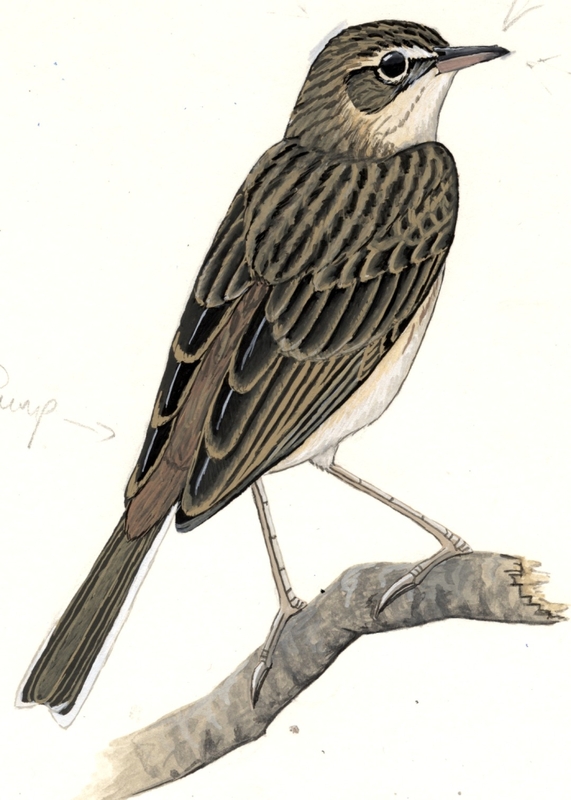 Pipits of southern Africa is privately published by the author. 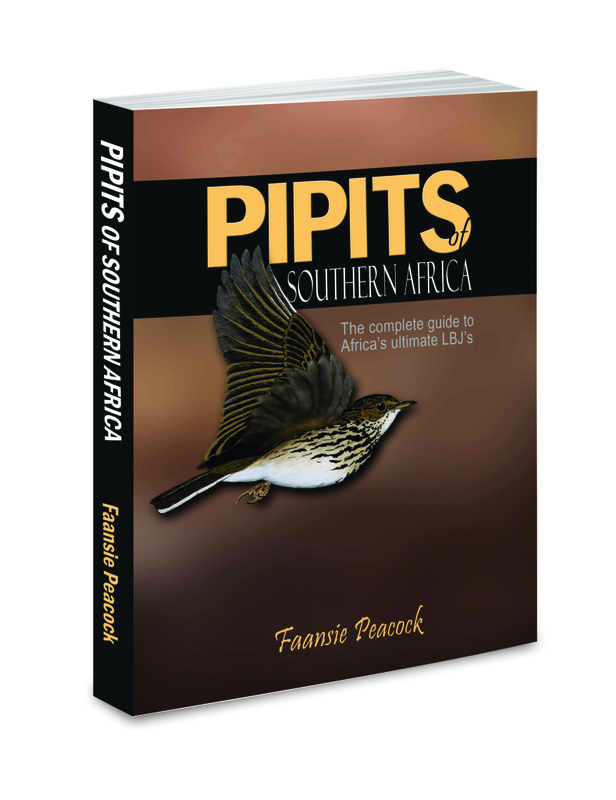 The book was born out of regular queries regarding pipit identification and biology sent to me personally or posted on SA Birdnet (South Africa’s national birding listserver). In the last decade or so, my interest in LBJ’s (and in particular warblers and pipits) resulted in the accumulation of hundreds of pages of field notes, ranging from halfhearted doodles and scribbled annotations to detailed behavioural studies and many night late nights’ worth of paintings and research. The answers to many of these recurrent questions regarding pipits (and other groups) are undoubtedly tucked away in amateur birders’ notebooks and the value of such notes and field experience is generally underestimated. Rather than having my notes and illustrations gather dust while stuffed away on a shelf, I started toying with the idea of using them as the basis for a book. Initially, my idea was to produce a simple field identification manual, but as I progressed the project evolved into a much more extensive product. With the advent of desktop publishing software a home PC now gives potential authors the ability to publish books without once setting foot inside a publisher’s office. The choice to follow this route proved to require a great deal of time and sacrifice (and much appreciated help from those in the know! ), but overall the process has been enlightening and very gratifying. Essentially the project began by sifting through my notes and sketches and compiling a rough outline for the book on paper. The next step was to obtain the relevant literature to address some of the oustanding issues. After the draft texts for the individual species as well as the introductory chapters were completed, the laborious process of illustration began. For the colour plates I relied mostly on specimens (from the Transvaal Museum’s collections) and photographs, while the ink illustrations were based on field sketches. The finished images were scanned as 300dpi .tiff files and imported into a photo-editing software package for adjustments and corrections. With the text and images ready, the layout process commenced in late 2005. This took significantly longer than anticipated and resulted in a 6 months delay for the printing of the book’s proof copy! Finally, proof-reading, last-minute editing and of course producing this website took up most of the first half of 2006. After the book’s publication in October 2006, the first print run sold out by mid January 2007.